Another beer coming out of New England, thanks to Luke Tabor, who brought it down on a recent trip to New Orleans. Pretty Things beer and ale project have been making a lot of noise, and happy drinkers in the craft beer community. The English husband and wife team of Dann and Martha Paquette live in Cambridge, Massachusetts and Dann who had been brewing for years across the pond, now brews out of Buzzard’s Bay brewery in Westport. 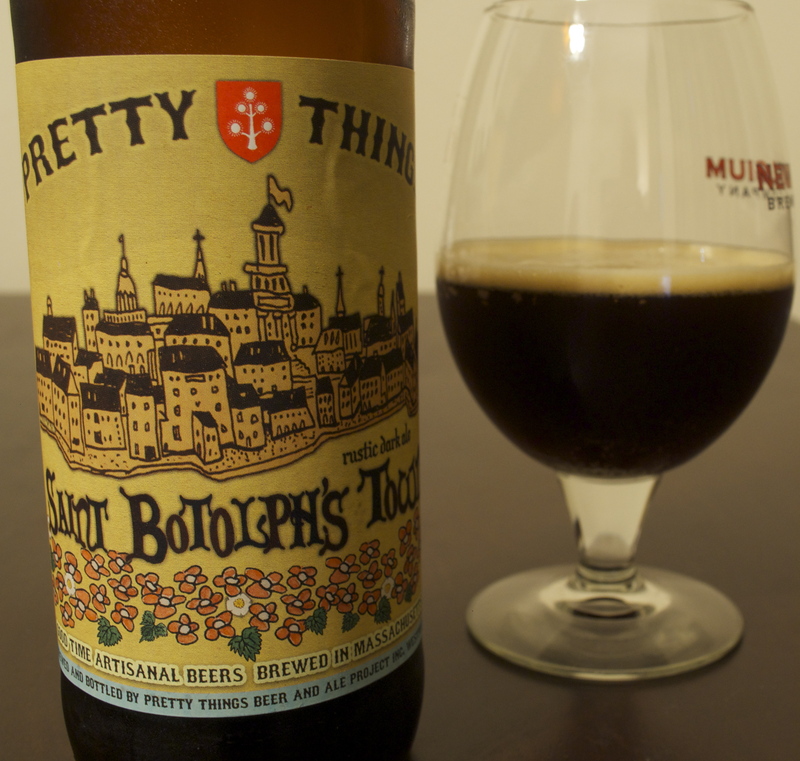 Pretty Things beers have been brewed all over and there is no specific location, they are called a “gypsy brewery” because they brew their interesting, style-defying beers in existing breweries. Pours a dark Coca-cola brown out of the bottle. Strong and rich aroma of coffee, chocolate, caramel, and a definite nuttiness in the nose. Hints of earthy hops. On the palate, sweet toffee strikes first with more nutty flavors and some caramel and chocolate. The bittersweet and chocolaty finish is intertwined with hints of green, herbal and earthy hop notes that give it a little more character than a typical English brown. This beer is not sweet and malty all the way through, it ends with a hoppy twist and a hint of what they describe as “eclectic yeast strains.” Definitely an interesting beer, and I would definitely drink it again particularly with a burger or steak or some other grilled meat. The maltiness will go right with the caramelized meat, and the hop flavors will keep your palate awake and guessing.